"Space Mountain may be the oldest ride in the park, but it has the longest line." Although Ric Flair was never an astronaut and instead is a retired professional wrestler, he pinpointed a revealing trend – that space is always "in". The next fashion brands to compete with Prada and Gucci might be SpaceX and Boeing. Not to be outdone, Coach has just released its NASA-themed line of products. 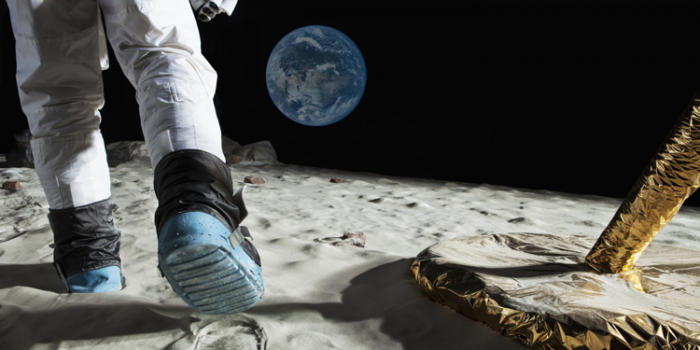 Even before its first commercial flight, space tourism has inspired fashion designers such as Adidas and Y3 to come up with the clothing and accessories a tourist might don to make that first flight to the heavens. Designer underwear for space is already the subject of a book written about the Apollo astronauts when Playtex tackled the challenge. Forbes points out the Paris Fashion Week in 2017 that there was a mock spaceship launch to state that the clothes of the future will be "out of this world." So if the clothes of the future are the same ones that help astronauts discover new worlds – what are the foundations of this new type of fashion? First and foremost it will be more than looking good and stylish it: they will keep you alive. The further women and men venture out into the cosmos, the longer we on Earth will know what they are doing. With current satellite communications, we will have 20-minute lag times when an astronaut steps on the surface of Mars. Gone will be the days when Mission Control can offer advice or give a heads up to impending doom by the vast amounts of real-time data streaming in. Instead, clothes will have to be intertwined with intelligent agents that whisper into the ears of the wearer. Yes, I do mean basically chat bots for your clothes. As opposed to movies like “2001: A Space Odyssey” and “Alien” where there is only one artificial intelligent being that is conversing with the crew, and it lives in the mainframe on the ship. Clothes will have to become wearable artificial intelligence. On top of that, to get rid of the isolation of space travel, the clothes need to have attitudes – quirky characteristics that keep morale in check such as the robots in “Interstellar” – TARS and CASE. But maybe not such as downer robots like Marvin in “Hitchhikers Guide to the Galaxy” or C-3PO in “Star Wars”. This artificial intelligent clothing needs to assess data in a real-time way to ascertain threats, offer step-by-step instructions on weary space travelers and make statistically-accurate predictions around possible scenarios. But more importantly, the clothing needs to be the wearers’ friend in order to build trust in the interactions. Then furthermore, forward details to Mission Control to allow them to be the third opinion of what to be done and re-train artificial intelligence if they offer poor options between the lag time of real-time decisions and the transmission time. Imagine their earthbound counterparts – going to the clothing store not only to try on something that makes you look nice but make you 'feel' good. Clothing that looks through your phone and whispers in your ear the name of the person you are talking to but forgot their name. Or helping you plan your day just after you button your blouse. Clothes need to be aware of its surroundings – get cooler when it’s warmer, warmer when it's cooler – and allow for the ability to flip back and forth from human-friendly environments to downright lethal ones. This calls for a whole new level of smart clothing. This has a world changing side effect; it battles global warming. People who are comfortable in their clothing on Earth usually do not expend more energy to keep a room cooler or warmer. Intra-Vehicular Activity (IVAs), which is basically clothing you wear in a pressurized craft to protect you against the elements of a launch, in orbit or inside your landing craft on an alien world. Extra-Vehicular Activity (EVAs), which is basically a mini-spacecraft that you wear as an astronaut in the harshness of space or alien landscapes such as the NASA Z-series suits. This will translate to its earthbound counterparts as clothing you wear inside your autonomous cars that will limit energy use for cooling and warming to allow for longer trips. Or consider ski wear that becomes everyday wear – dealing with the extremes of the freezing temperatures of skiing on the slopes but allowing your body heat to vent as activity increases and when you arrive at the bottom with warmer temperatures allowing you to remove pieces quickly to acclimate. In movies, most space suits are not complete without incredible visual stunning heads up displays that showcase all types of metrics – how much oxygen is left, always locked location tracking of the space craft, computer vision to identify geological findings and many, many more uses. However, as Paromita Mitra of NASA's Human Interface Team points out, astronauts on the International Space Station encounter a peak sunset every 90 minutes and are exposed to peak sunlight without any obstruction more than their earthbound counterparts. How does this sunlight affect the way heads up display (HUD) gets rendered in order for the wearer to see the metrics? It's much like trying to read your phone in the middle of a sunny day. NASA is testing all their new HUD technologies by blasting 18000 lumens LED lights directly into eye line of those using the prototypes to see if they can decipher what the HUD is trying to tell them. But how about other ways of interaction? Audibles – sound effects indicating scenarios such as low oxygen levels, proximity to foreign objects or forgotten button fastened to create a pressurized suit. Haptic / Tactile – use of advanced vibration patterns and waveforms to convey information to a user or operator. How would this evolve to Earth-wearing clothing? Imagine your autonomous car jacket where the sleeves vibrate slightly on the left or right arm where a car is approaching from and gets stronger as it gets closer. Deejay clothing line where scratching and sound effects such as drum machine beats can be instrumented by beating your chest or tapping on a flat surface with gloves. What if your shoes ding when the sole of your shoe has stepped in gum or pet pooh and disperses agents to get rid of the substance? As you can see, the sky is no longer the limit for your clothing. But how much will all this cost? All this type of functionality won't come cheap. The goal is to make it available for space tourists who have the deepest pockets and begin to sell to earthbound consumers to move costs lower. But it will be a long time before space-ready clothing is available on the discount racks at Zara or H&M. To quote Ric Flair again, he says it best, "I spent more money on one robe than guys spend in five years." "We might want to get in line for that ride now," says your jacket. GS Jackson will be one of the speakers during Singapore Fashion Week's ZIPCODE on Friday, October 27 in Singapore.